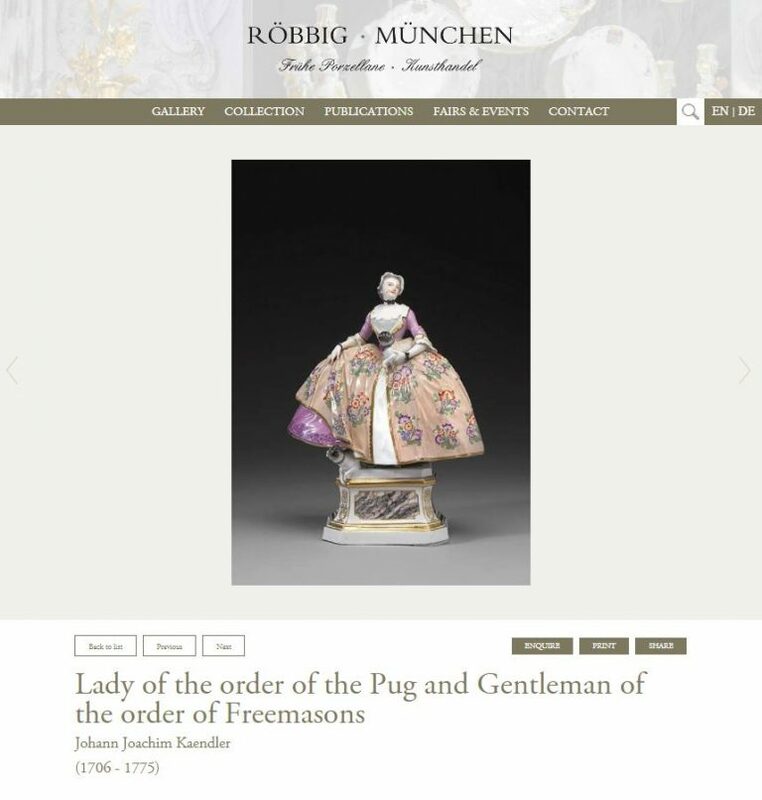 Röbbig München is one of the world’s leading dealers of important porcelain objects produced by the Meissen Manufactory. The pieces offered to our clients meet the highest requirements concerning quality, condition and last but not least originality. 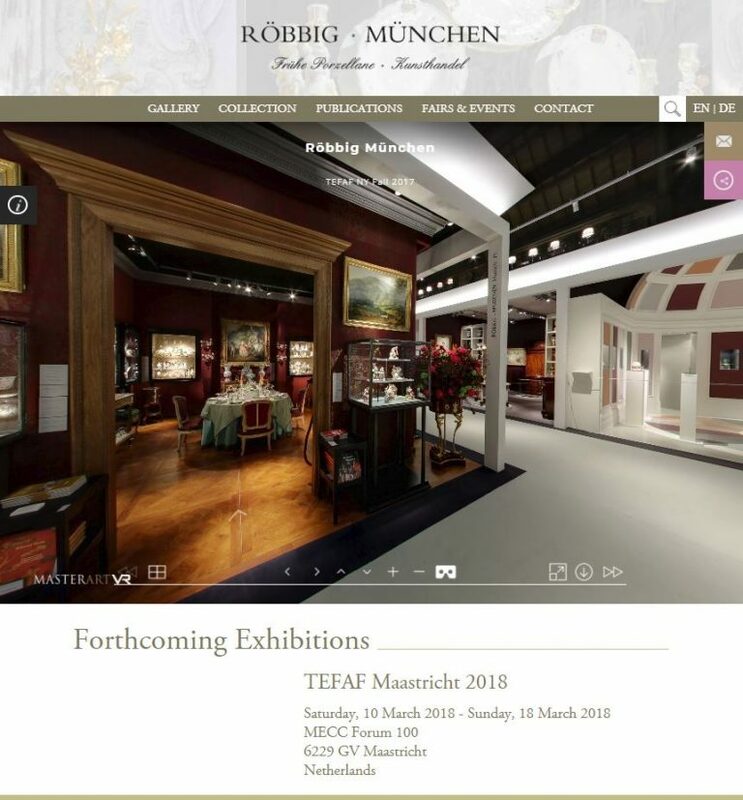 Röbbig München’s website was created by ArtSolution. In addition, they use our A.S. Gallery Manager Software.